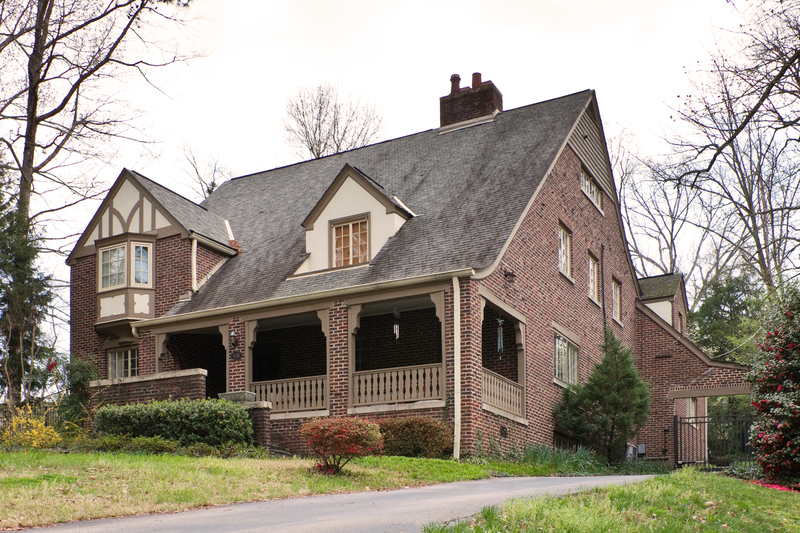 W. P. Budd, a partner in the Budd-Piper Roofing Company, commissioned Raleigh architect Murray Nelson to design this two-and-one-half-story Tudor Revival style house in the late 1920s. One of the first domestic projects by noted Durham contractor George W. Kane, the house exhibits handsome Tudoresque elements throughout. 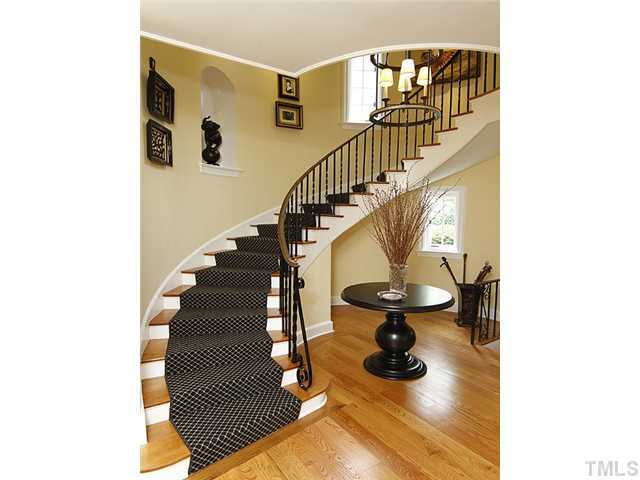 The house was designed by Raleigh architect Murray Nelson and built by Durham contractor George Kane. One of the more impressive residences in Trinity Park, this Renaissance Revival home was designed by G. Murray Nelson for department store owner Benjamin F. Kronheimer. Benjamin Franklin Kronheimer built the Kronheimer Department Store at 315 West Main St. around ~1900 ; Kronheimer built his Renaissance Revival residence in Trinity Park in 1924. 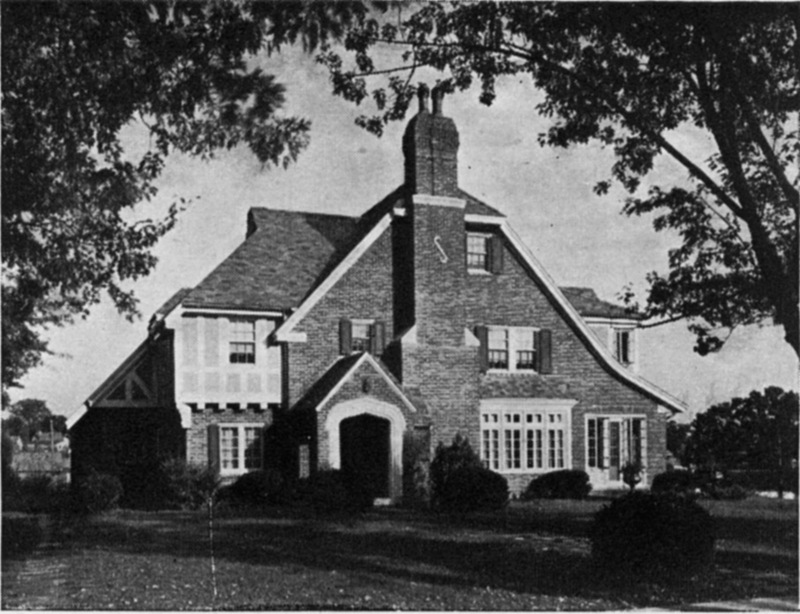 (1925 CD) Kronheimer lived in the Cleveland-Holloway neighborhood prior to constructing this home, and thus was an early standard bearer in the 'Durham Jewish migration' from Cleveland-Holloway to Trinity Park. Enhanced by its setting back from the street on a large lot and surrounded by mature trees, the house appears to be unaltered on the exterior. The low-hipped roof covered with terra-cotta tile, sawn brackets in the deep eaves, stone relief of swags, and the Ionic stone arcade of the recessed corner porch constitute the principal aspects of the design. The focal point of th main facade is the entrance bay with an arched entry framed by Ionic columns and pilasters bearing a full entablature and three windows above framed in stone and outline by spiraling colonettes. Kronheimer only lived in the house a few years, as he died in 1938. Unfortunately, I can find little or nothing in the secondary sources about Kronheimer or Kronheimer's beyond this - if anyone wishes to do the primary research to expound upon this information, please feel free to comment. The Forbus House is a well-articulated example of the rare Norman Provincial architectural style in a city with several early twentieth-century suburbs favoring picturesque revival styles. 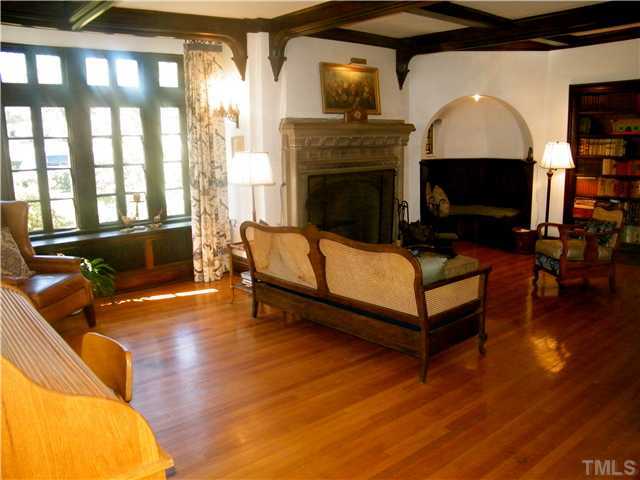 G. Murray Nelson of Raleigh designed the house for Dr. Wiley D. Forbus and Elizabeth Burger Forbus and their daughters. The house, completed in 1931, burned in 1933 and was immediately rebuilt. The Forbus House has local significance under Criterion C in the area of Architecture. It is a well-articulated example of the rare Norman Provincial architectural style in a city with several early twentieth-century suburbs favoring picturesque revival styles. 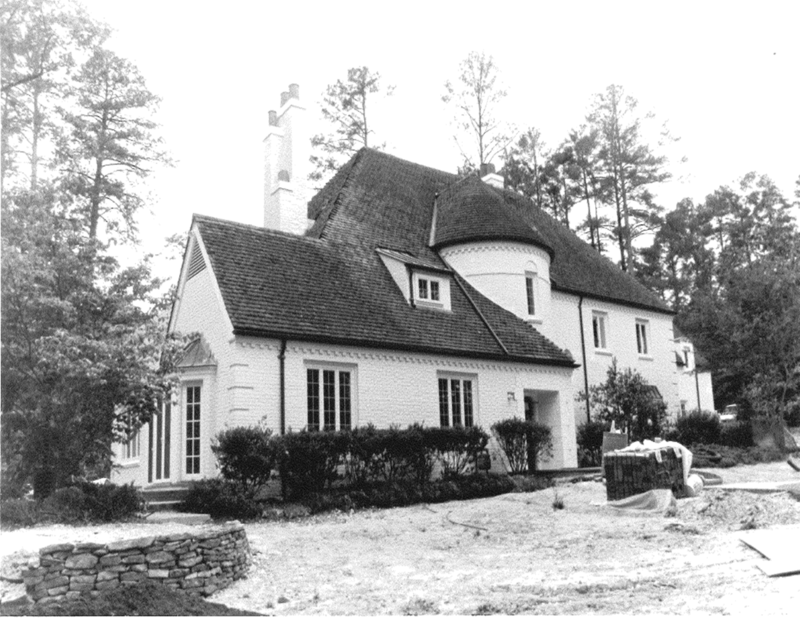 G. Murray Nelson of Raleigh designed the house for Dr. Wiley D. Forbus and Elizabeth Burger Forbus and their daughters. 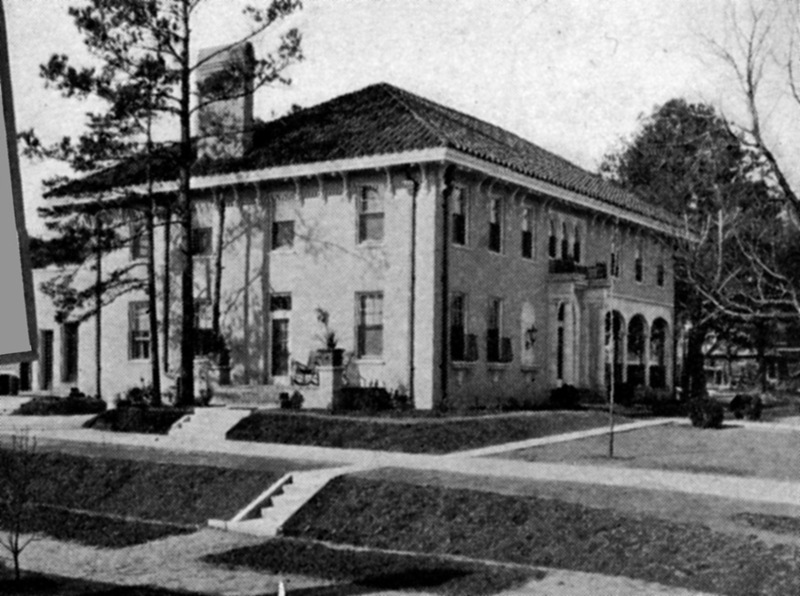 The house, completed in 1931, burned in 1933 and was immediately rebuilt. The asymmetrical massing, steeply pitched and varied roof forms, staggered chinmey stacks, masonry walls, and-most importantly-the central round tower with conical roof and vertical windows, express the Norman Provincial style of the house. 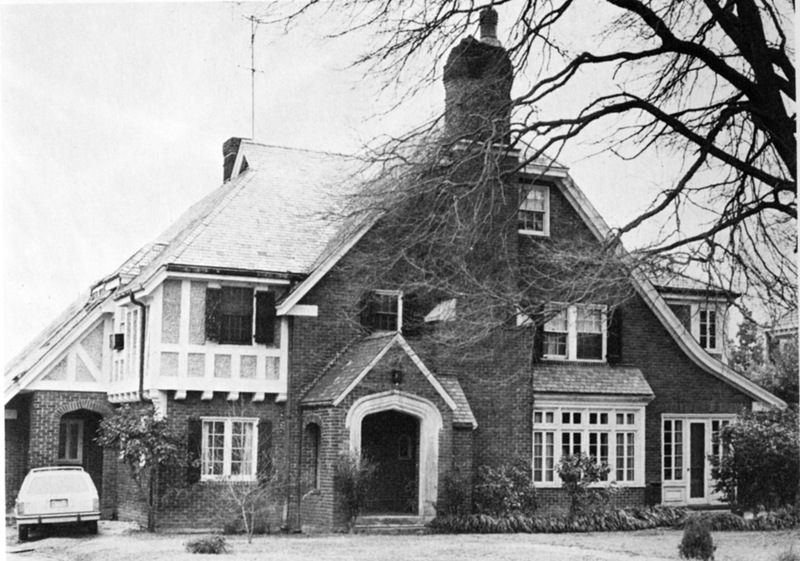 The Forbus House was one of the first erected in Hope Valley, a suburban development built around a Donald Ross-designed golf course and meant to attract the faculty of a growing university as well as the second generation of successful businessmen in a booming textile and tobacco town. The house remains one of the most notable in the neighborhood and in the city due to the thorough treatment it received in an unusual architectural style. The period of significance is 1933, the year the existing house was completed. chief draftsman for Salter & Nelson for the last years of that partnership. 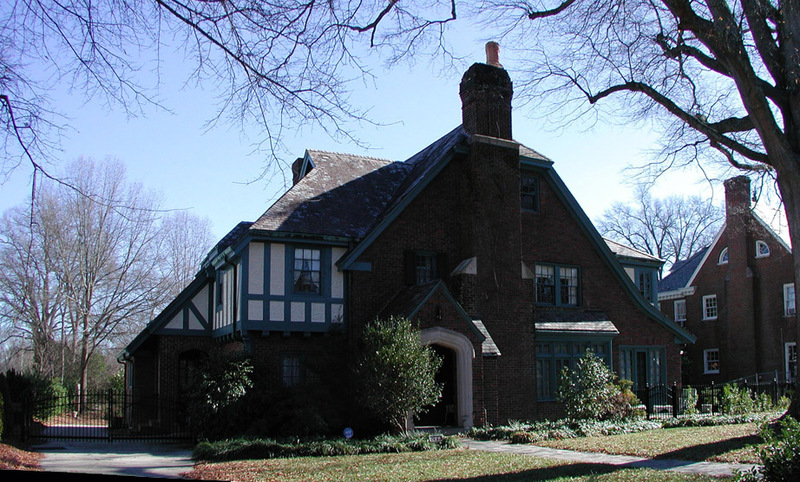 Throughout the 1920s, Nelson & Cooper designed houses in Raleigh's early suburbs, often in the Colonial Revival style. The firm also designed the State Agriculture Building on Capitol Square and buildings on the campus of North Carolina State College. Also throughout the 1920s, Nelson kept an office in his name only in the First National Bank Building at 123 West Main Street in Durham. 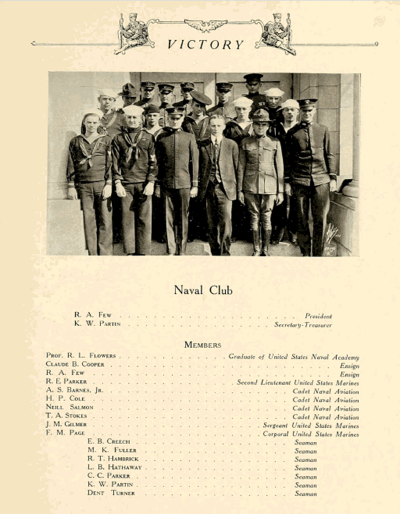 Nelson lived in Raleigh throughout the 1920s and had a manager run the Durham office, but he continued to list himself and his Durham address in the classified section of the city directory. It is likely that Nelson designed some houses in Durham's burgeoning suburban neighborhoods before he was engaged by the Forbuses to build their new home. 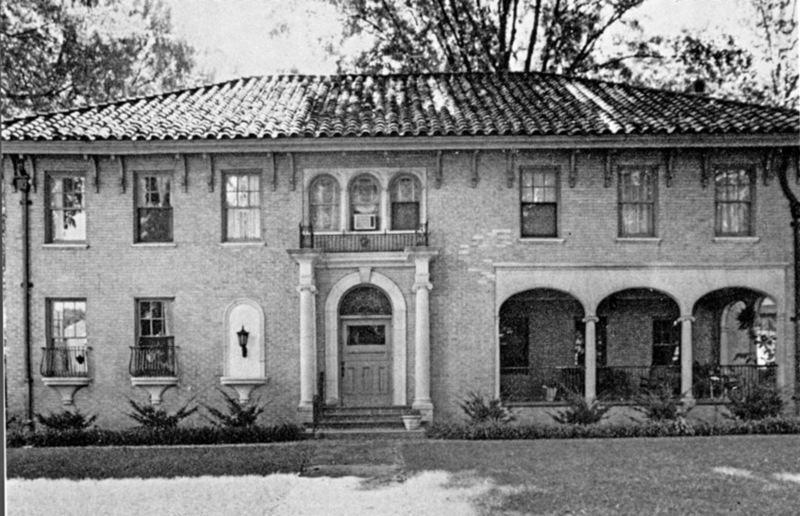 As construction began on the Forbus House, another notable Nelson design was underway on Minerva Avenue in Trinity Park: the Kronheimer House is a large, two-story brick house designed in the Renaissance Revival style with Italian or Mediterranean influences and featuring that style's characteristic tiled hip roof, arched windows and door, and deep, bracketed eaves. A recessed comer porch-with arches supported by slender Ionic columns-gives the house a slightly asymmetrical facade, an unusual element in the style. Still, Nelson's Kronheimer House is the city's "foremost example" of the Renaissance Revival style, just as the Forbus House is Durham's best representation of the Norman Provincial style. 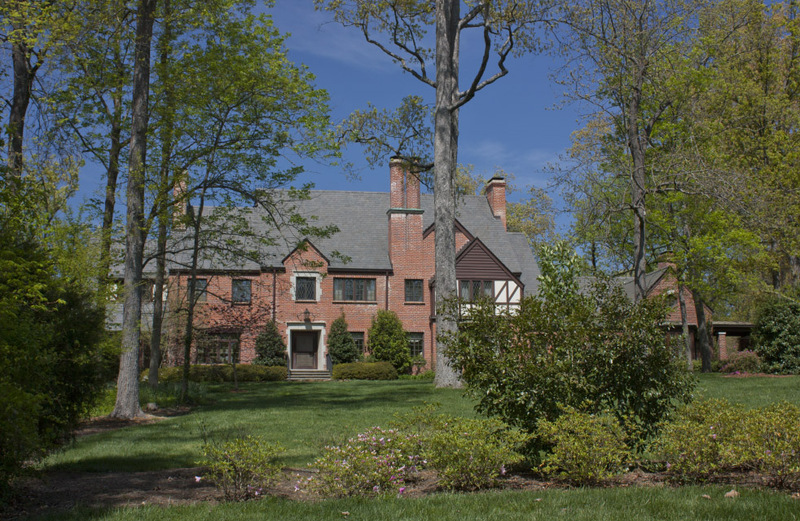 Built in 1933 and extensively renovated in 2004, the Hart House is [as of 2012] the home of Duke President Richard H. Brodhead - returning the presidential residency to campus for the first time since the 1960s. The three-floor building, constructed from brick and timber, borders the Duke football field at the corner of two main roads. Built for Dr. Deryl Hart when he came to Duke as head of surgery, he remained in the home through his university presidency (1960-63) until his 1980 death; his wife, Mary Hart, continued living in the house until she died in 2000. 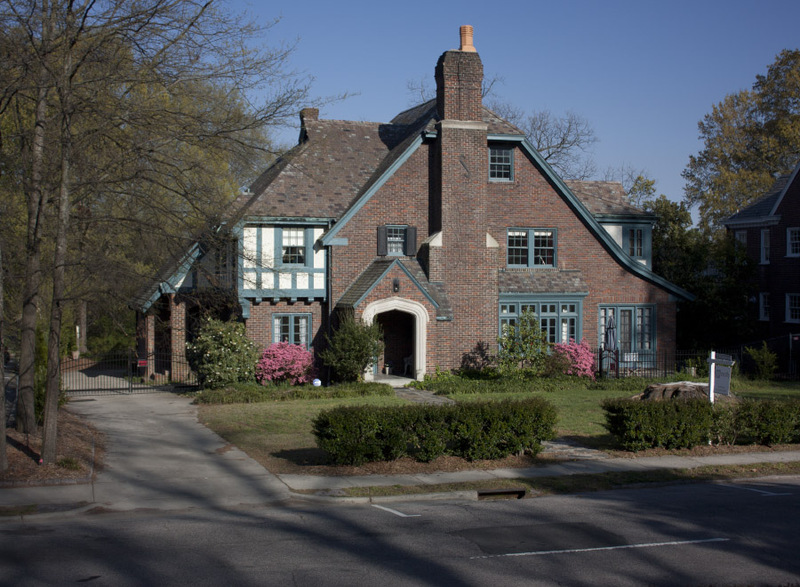 Of the five houses built for faculty members of Duke University in the initial development of the West Campus, this rambling Tudor Revival style house is the only one built almost entirely of brick. 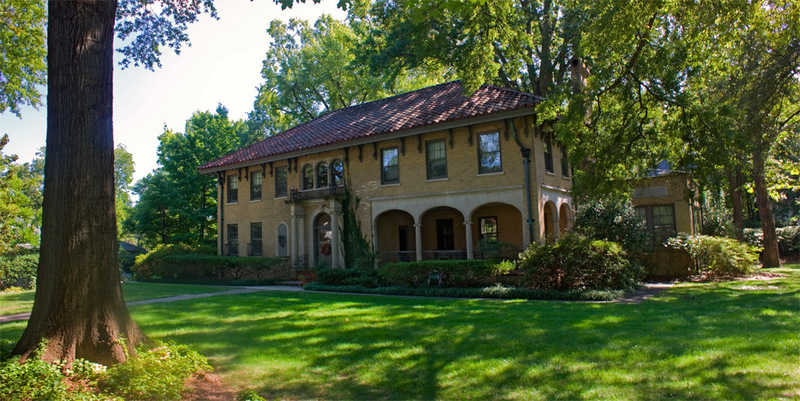 Unlike the other four houses, this house was designed by Raleigh architect Murray Nelson and constructed by local constractor George Kane in 1934. Simliar to the other houses nearby, the Hart House has half-timbering on the upper stories of some of the gabled wings, as well as decorative chimneys that include corbelled stacks and octagonal chimney pots. Dr. J. Deryl Hart, one of the founding chairmen of the Medical School, was head of the Department of Surgery for many years, as well as President of Duke University from 1960 to 1963.